When I made these tacos tonight for Taco Tuesday, I didn't have a blog post in mind. I was playing around with a concept in my head and not sure how they would turn out the first time. Slam dunk. 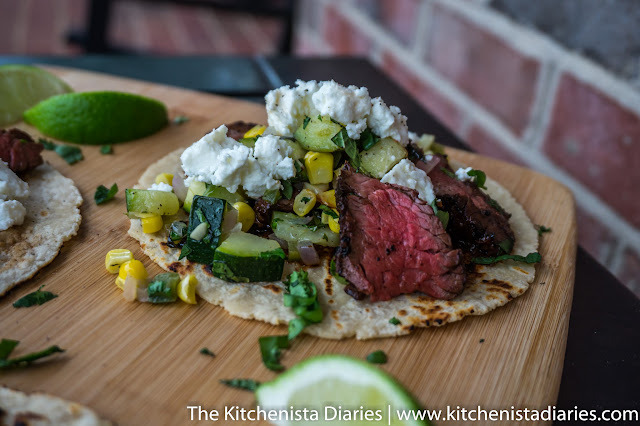 These steak tacos were so quick, fresh and easy to make that I felt pretty good about finalizing the recipe right away! I'm trying out a new way to consistently share content with my readers while making sure I'm compensated for my work. 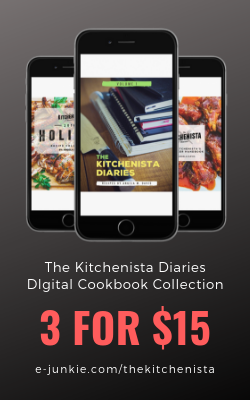 That's important to me as I continue to build my business and fund a self-published cookbook that is slowly but surely coming together. As I shared on Instagram last night, I'm asking for my readers to donate via PayPal and support the content created here for your use. My hope is that you'll see the value in contributing a dollar here and there in exchange for what you receive here! Going forward, I'll continue to share my content on Instagram and Twitter. If the dish posted has a recipe attached, I'll offer a full blog post here in exchange for donations that day. This is totally an honor system and I don't ever want to spend more time pandering for funds than I do talking about food. Many of you have supported me for some time now without any prompting at all, and I'm so grateful for such a generous outpouring of support for my craft and future! But about these tacos. The warmer the weather gets, the less time I want to spend over a hot stove. With a little bit of multitasking, these were on the table for dinner in about thirty minutes. You could fire up the grill and do this outside, but I wrote the recipe with an indoor cast iron grill pan in mind. 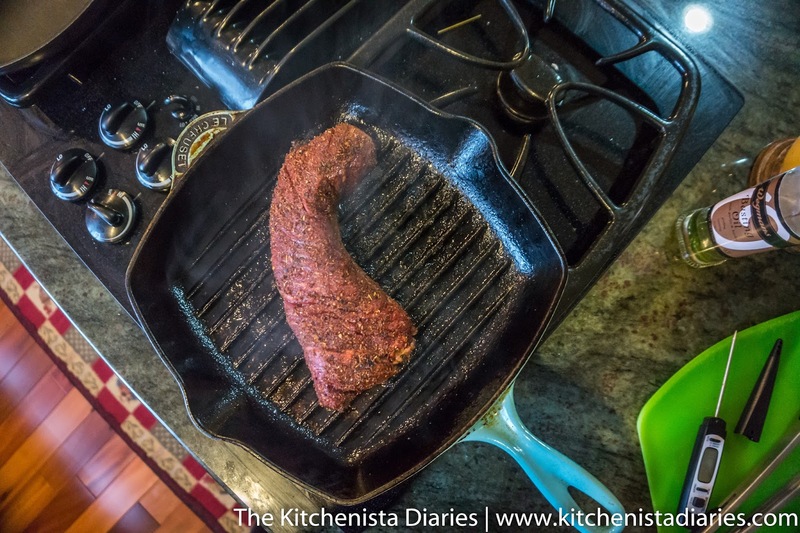 If you don't have one, the steak can be seared on a cast iron skillet instead. The relish was good enough to eat on its own. 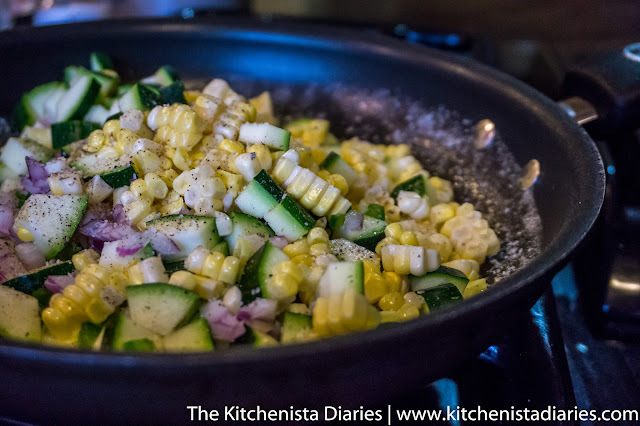 Fresh summer corn, crisp tender zucchini and spicy jalapenos all come together within a few minutes in a skillet. The relish reminded me of succotash (okay, minus the lima beans but I hate lima beans so in my head all succotash should be made without them.) 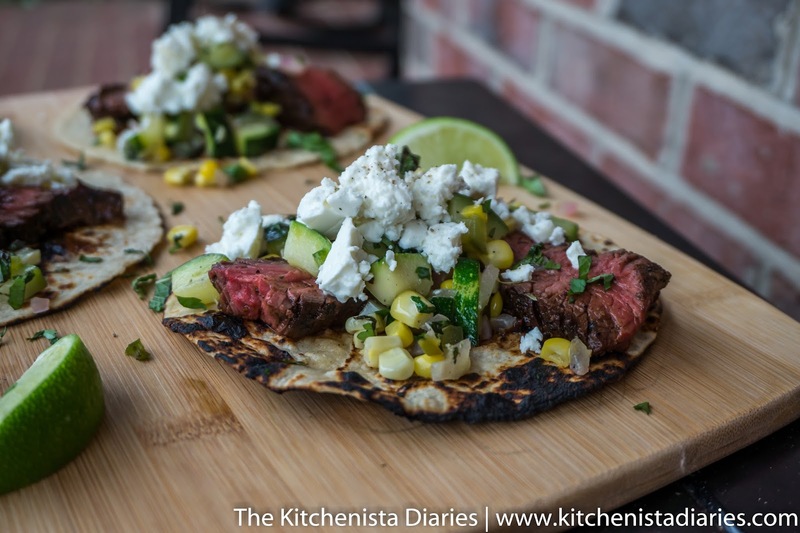 As for the meat in these tacos I used hanger steak, one of my favorite cuts. It can be a little tricky to find, so feel free to use skirt steak, strip steak or rib eye which will all work well with the rub and cook up in about the same amount of time. So, about that coffee rub? It's a spice blend I've been enjoying for almost a year now on my steaks. I got a chance to share a version of it for a project I did for Microsoft's Lumia Storyteller last summer. Coffee really enhances the beefy flavor of steak, but this rub also works with pork (think smoked ribs!) I use the stuff so much I keep a huge mason jar of it at all times. For today's taco recipe I'm sharing a down and dirty version of my coffee rub. It's a small amount that you can throw together in a minute to season your steak. 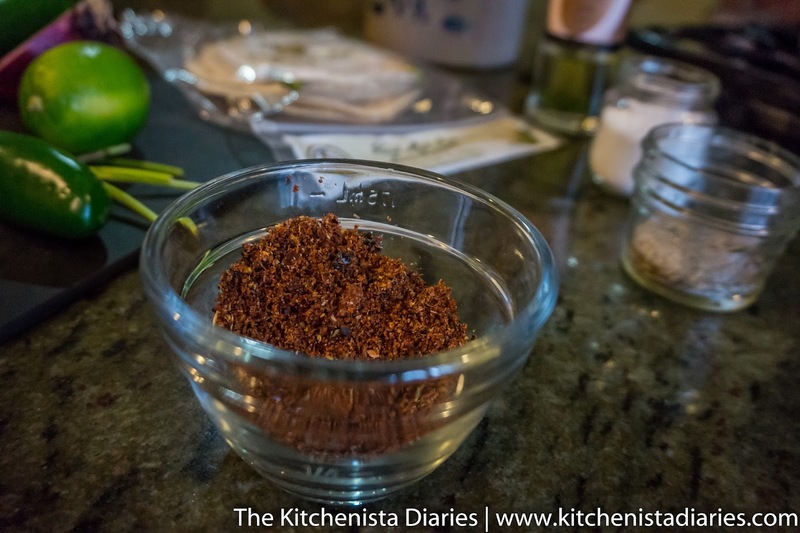 When I make more complex versions of my coffee rub, I start with toasting and grinding dried chilies. The coffee plays well with barbecue and Mexican flavor profiles, so depending on what direction I want to take it in, I'll throw in additional spices like dried fire roasted tomatoes or toasted cumin. Once you see the magic of coffee and steak, feel free to enhance the blend with your own special touch! If you have the time earlier in the day, the steak can be seasoned with the rub and allowed to marinate until needed. 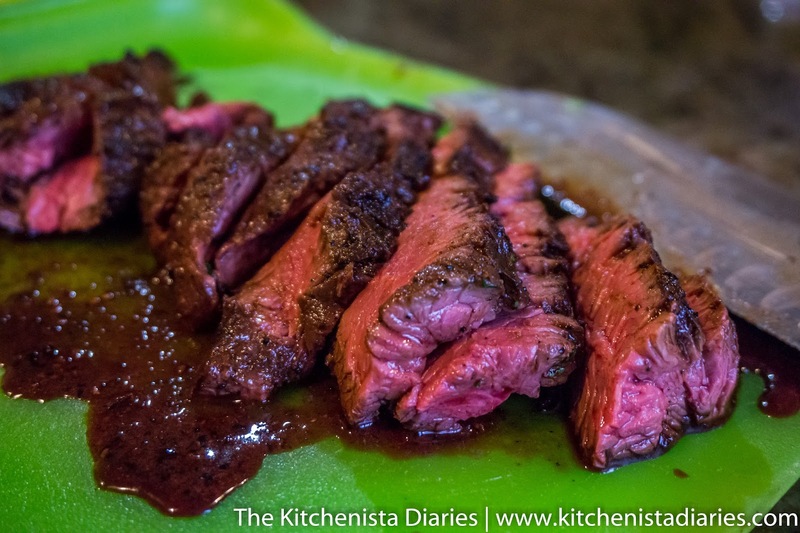 But hanger steak does just fine if seasoned immediately before grilling, which is what I did tonight. I took my steak out while I gathered all the other ingredients and preheated my grill pan. This one came trimmed already which was a huge time saver for a quick recipe like this. 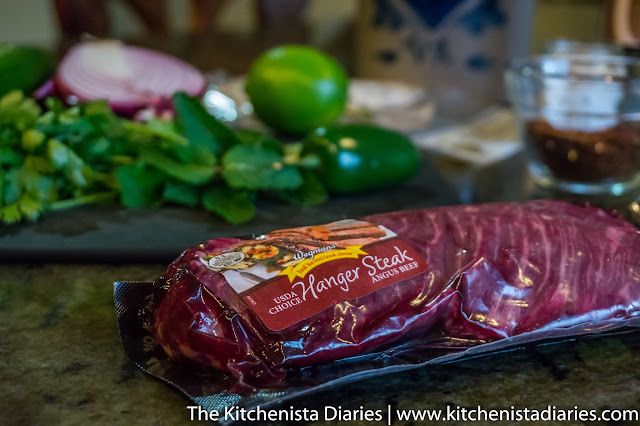 If you haven't worked with hanger steak before, the best resource I've found to get some background info is over at Serious Eats. It's a great cut to learn and it will definitely make an appearance in my book! To prepare the coffee rub, simply mix all of the spices together with the brown sugar and about a teaspoon of kosher salt. If your steak is bigger than a pound, add a tiny bit more salt. 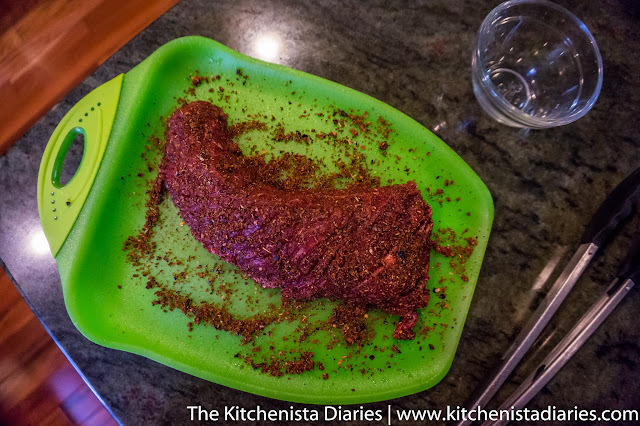 You'll end up with about two tablespoons of rub and you can use all of it on the steak. Season the steak generously with the coffee rub on both sides. It's a lot of rub but helps build a nice crust on the steak. 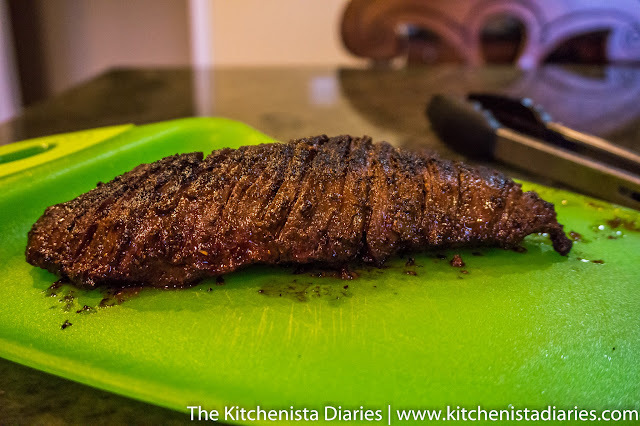 If you're going to let it marinate for more than twenty minutes, transfer it to the fridge to chill uncovered. You can do this step up to a day in advance. Otherwise, your grill should be hot and smoking for the next step! Oil the grill gates, then place the steak down. The grill pan should be hot enough to sizzle. For this size hanger steak, plan on 8 to 10 minutes cooking time. I let it cook on each side for 2 to 3 minutes at a time, flipping with a pair of tongs. The coffee, brown sugar and smoked paprika in the rub all help contribute to creating a deep, dark sear. 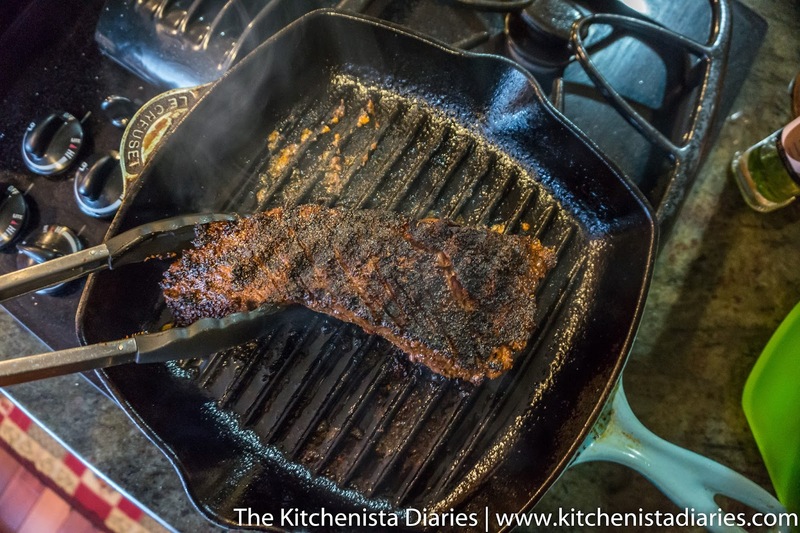 If you're searing your steak off in a cast iron skillet instead, the cooking process is almost exactly the same.The end result will just lack that little bit of smoke and char that the grill pan imparts. 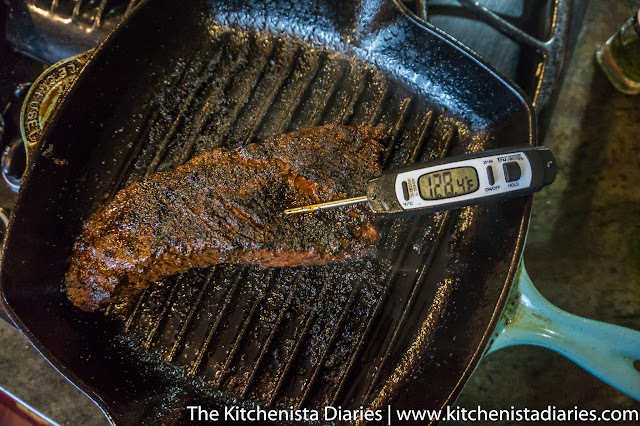 After 2 flips, or about 6 minutes of cooking time, I start monitoring the temperature of my steak. Over time you can learn to check doneness by feel, but I love being precise and the instant read thermometer is the best way to do that. Measure the thickest part of the steak, and keep your eye out for temperatures within the 125° to 130° F for a perfect medium rare finish. After pulling the steak off the grill, residual heat will carry the temperature over just a tad higher so aim appropriately. If you are of the belief that steaks should be cooked past medium, I will look the other way, but I do suggest using a different cut that has more marbling. 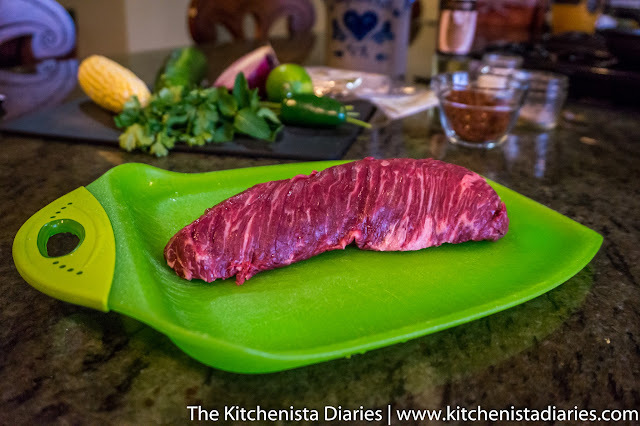 Remove the steak from the grill and return to a clean cutting board or plate to rest for about 10 minutes. 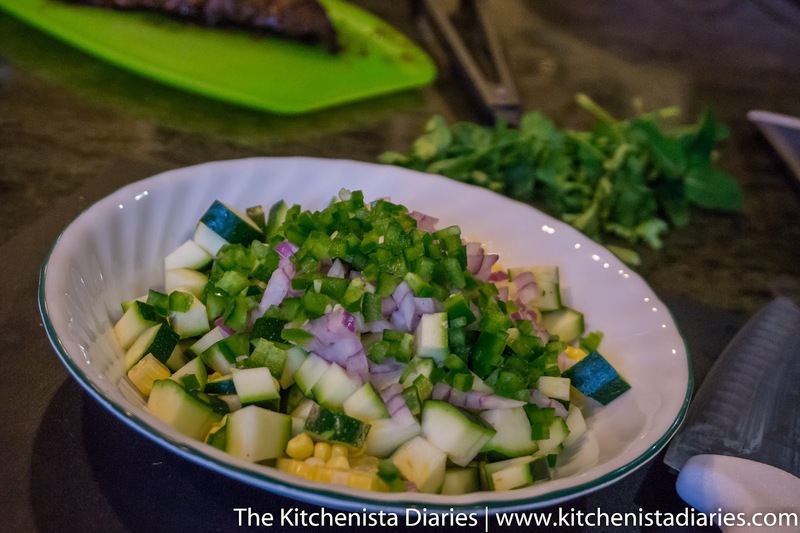 I prepped my zucchini, corn, onions and jalapeno while the steak grilled. Melt a pat of butter in your skillet over medium heat, and once sizzling you can add the chopped veggies, along with a good pinch of salt and pepper. 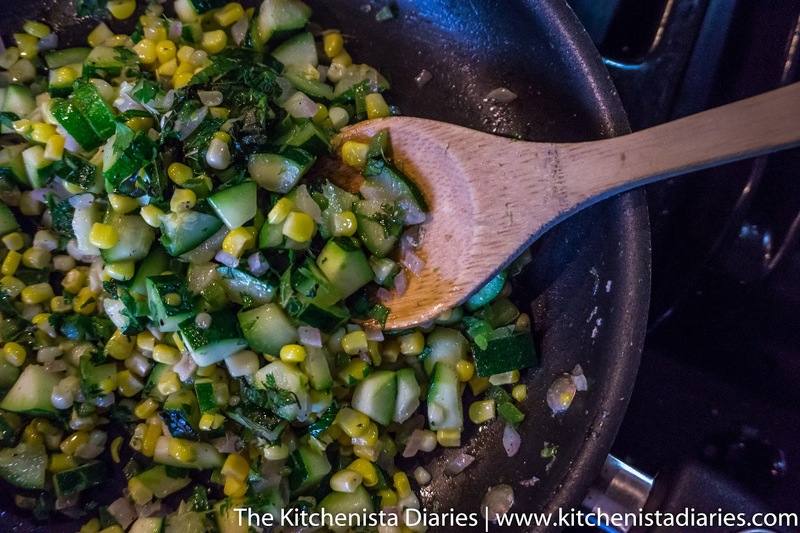 Toss the relish for just a few minutes, enough to slightly soften the zucchini but leaving it with some bite. Turn off the heat and grate in the zest of a lime before squeezing in the juice. Finally, stir in the cilantro and mint. If mint isn't your thing, leave it out or use parsley. I love mint and zucchini and I always tend to have it on hand this time of year! 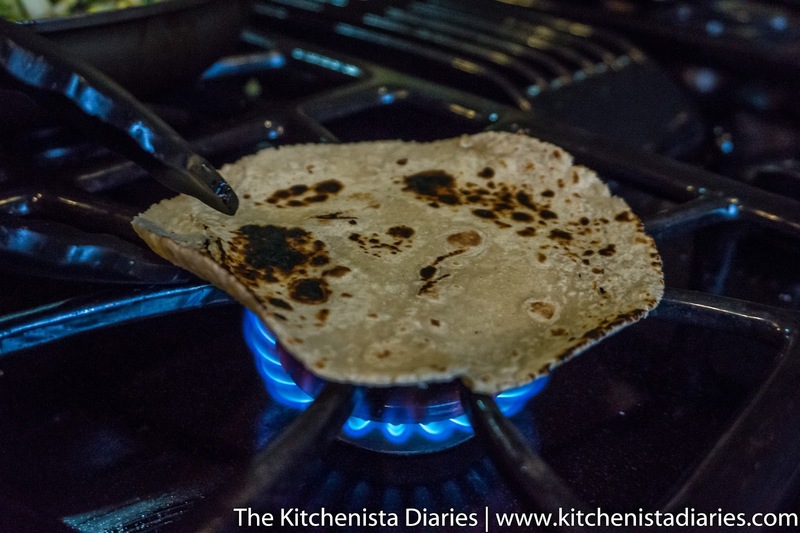 Finally, warm your tortillas over a gas burner or wipe out the skillet and use that. Tortillas don't belong in the microwave though! I simply set my burner to a medium low flame and place the tortilla over the center. After about a minute, I flip it with tongs to char the other side a bit. After 10 minutes is up, it's time to slice the steak! Make sure you're slicing against the grain. You'll notice grooves in the meat running in one direction - that's the grain. You want to make your slices perpendicular to that. I cut my steak in half, and then slice each half against the grain. It's easier to manage that way and have pieces that are the perfect size for tacos. Again, Serious Eats has a really dope guide on this part too. That coffee rub makes a pretty delicious sauce on its own when it combines with the juices from the steak, so don't waste it! Drizzle a little bit into each taco as you lay down slices of steak. 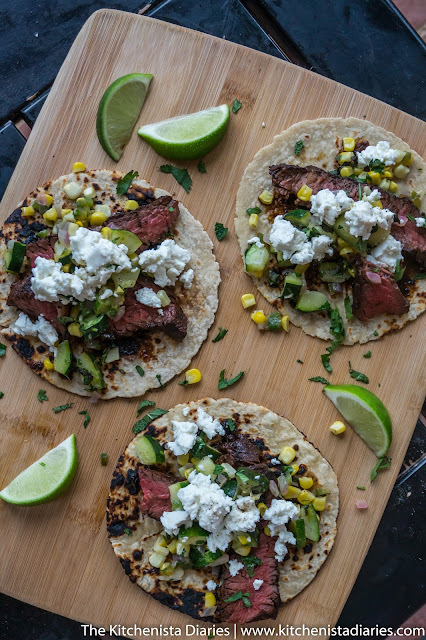 To assemble, fill each taco with a couple pieces of steak, a spoonful of zucchini and corn relish, and some crumbled feta. 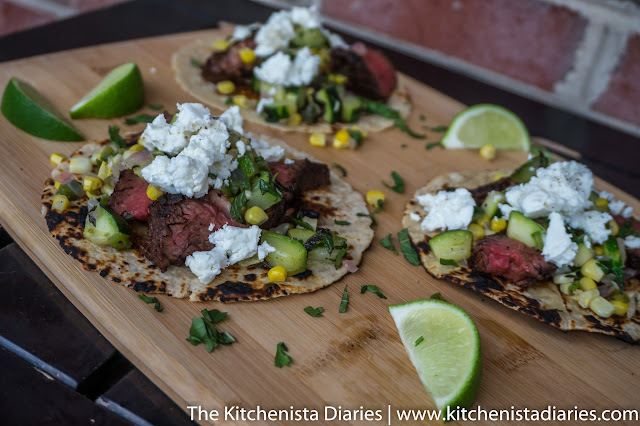 I use a French feta, which is creamy, salty and reminds me just enough of queso fresco to make it perfect for tacos. Either would work though! I'm just a big fan of using what I have and I typically have feta in the fridge. Don't forget to serve with extra limes! I hope you enjoy this recipe for your next Taco Tuesday. 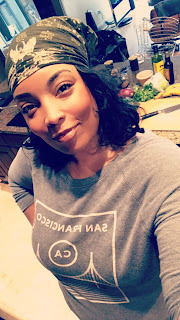 Thanks so much again for your donations that help support The Kitchenista Diaries.